Whether you’re interested in working in law enforcement, the court system, as a U.S. Marshall or a victim’s advocate, our justice studies degree will give you a fundamental understanding of justice and legal systems in the U.S. and abroad. You’ll draw on disciplines such as social sciences, humanities and psychology while examining topics that range from racial justice and immigration law to juvenile delinquency, intimate partner violence, cybercrime and counterterrorism. Students with an interest in forensics also may consider the forensics minor. As a graduate of this program, you’ll be prepared for a career in the justice system or graduate study in law and related fields. 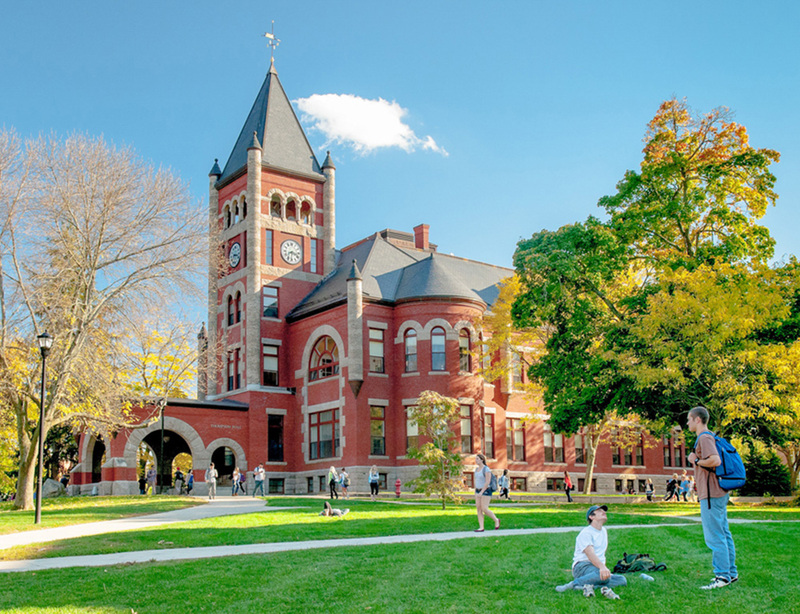 Why study justice studies at UNH? 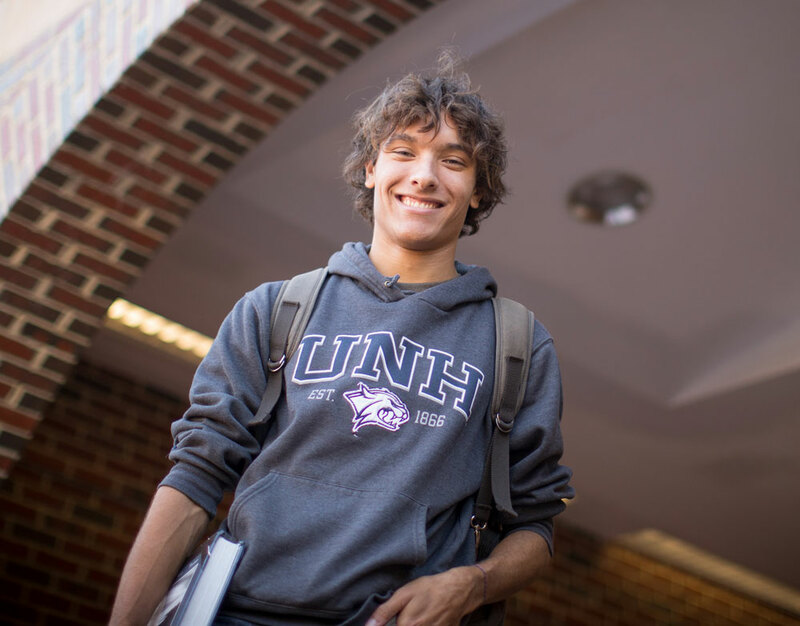 As a justice studies major at UNH, you’ll have exceptional opportunities to take your learning beyond the classroom. The program offers internships in New England and Washington, D.C., as well as a study-abroad program in Budapest, Hungary, through which students learn about European justice systems. A major public research university, UNH also encourages students to engage in research projects with faculty through the Undergraduate Research Opportunities Program. Additionally, you’ll have the chance to hone your debating skills through the UNH Mock Trial Program. The justice studies dual major is an interdisciplinary area that blends topics from humanities departments (e.g., philosophy), social science departments (e.g., psychology, sociology, women's studies), departments that include both humanities and social science faculty (history, political science), and professionally oriented departments (education, family studies, social work). Topics studied include courts, family violence, rights, substance abuse, juvenile justice, school law, children as witnesses, hate crimes, and community policing. Students will be required to choose a first major before they will be able to declare justice studies as a second major. The goal is to produce graduates who have a higher level of knowledge about law and justice in American society and in the world so that they will mature into more knowledgeable and effective citizens. The justice studies dual major is intended for students who are looking for careers in the justice system or who seek graduate training in law or social sciences and humanities related to the law. The dual major in justice studies requires students to take a minimum of eight courses (32 credits), each completed with a grade of a C- or better. Students are required to have a grade-point average of a 2.5 or better before they can be accepted into the program. The dual major cannot be declared until after a first major has been declared. Students can count no more than two courses for both the first major and dual major, and students are not allowed to take more than two courses from any one department (except for JUST). An unlimited number of dual major courses can be used to satisfy Discovery requirements. This course fulfills the program capstone requirement. This list is approved and published yearly by the Justice Studies Executive Committee. The required minimum overall GPA in major coursework is 2.5. Students who are interested in a dual major in justice studies will need to file an Intent to Dual Major form. The form is available in the justice studies office or can be downloaded from the program website at cola.unh.edu/justice-studies. Program offices are located in Room 206 of Huddleston Hall and are open Monday through Friday from 8 a.m. to 12 p.m. and 1 p.m. to 4:30 p.m. For more information, please contact Ellen Cohn at (603) 862-3197, e-mail ellen.cohn@unh.edu; or Deb Briand at (603) 862-1716, e-mail deborah.briand@unh.edu.